Federal Circuit Addresses Fee Shifting Statute–Kilopass Tech. v. Sidense Corp.
Posted on January 7, 2014 by PSMN® | Comments Off on Federal Circuit Addresses Fee Shifting Statute–Kilopass Tech. v. Sidense Corp. While Congress continues to consider various bills that would make it easier for prevailing parties in patent cases to collect their attorneys’ fees from non-prevailing parties, the Federal Circuit is not sitting by quietly. In Kilopass Technology, Inc. v. Sidense Corp. (Case No. 2013-1193), the Court vacated and remanded a District Court’s decision not to award attorneys’ fees to a prevailing defendant. In an opinion written by Judge O’Malley, the Federal Circuit reviewed the Court’s jurisprudence on fee shifting and clarified the elements that must be met for a defendant that prevails. This case was a more typical competitor-on-competitor patent infringement lawsuit, rather than the “troll” variety that has been in the news of late. 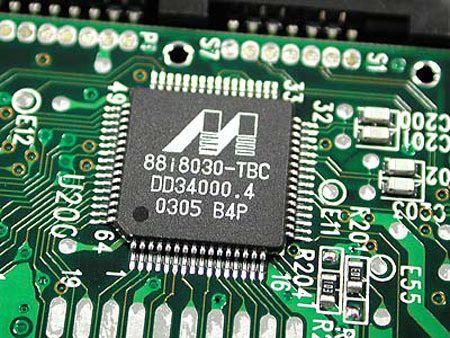 Kilopass and Sidense are competitors in the embedded non-volatile memory market. Kilopass became concerned that Sidense may infringe some of Kilopass’s patents after reviewing a Sidense patent application, so Kilopass hired a law firm to conduct an infringement analysis. Based on an initial review, counsel believed that there was a sufficient basis to send a friendly letter to Sidense, asking if it wanted a license and for an explanation of why it did not infringe. Sidense responded by pointing out differences between its design and the claims of the patent and declined a license. After receiving Sidense’s response, counsel noted that his infringement analysis assumed that Sidense was making a product according to the design in its patent application, which is not always the case. He noted that if Sidense was making the product in a different way, it did not infringe (at least literally). He recommended that Kilopass try to find out how Sidense’s memory cells were made in order to better assess its potential infringement. A Kilopass employee obtained further information that showed that Sidense was not making its memory cells the same way that it described in its patent application. With this information, counsel determined that Sidense was likely not infringing and that Kilopass would have a tough case. Kilopass hired another law firm to conduct another analysis. The second firm preliminarily determined that Kilopass appeared to have a valid claim of infringement via equivalence, but that it needed to conduct a more detailed analysis to be sure. Counsel started this analysis, but was instructed by Kilopass to stop all work. A team of engineers from Kilopass then concluded that Sidense infringed under the doctrine of equivalence after reviewing the patent and Sidense’s products. Kilopass filed suit approximately two years later. During the litigation, the District Court found out that Kilopass was making inconsistent arguments regarding the proper claim construction before the Court and before the USPTO BPAI during a concurrent inter partes re-examination. The Court then chastised Kilopass for its gamesmanship. The Court ultimately granted summary judgment of non-infringement to Sidense, which the Federal Circuit summarily affirmed. Sidense sought its fees, which the District Court ultimately denied because Kilopass performed substantial pre-filing investigations and obtained opinions from two different law firms and its own engineers that it had a non-baseless claim of infringement. The Federal Circuit ultimately vacated the District Court’s determination that an award of attorneys’ fees was not warranted and remanded for a further determination. In doing so, the Court clarified the current state of the law with respect to whether a court should award attorneys’ fees to a prevailing defendant in a patent infringement lawsuit. The determination of whether to award fees is a two-step process, which must be shown by clear and convincing evidence. First, the prevailing defendant must show that the patentee’s claims of infringement were objectively baseless. Second, the defendant must show that the patentee brought the claims in subjective bad faith. In assessing the subjective prong, a defendant does not have to show that the patentee knew its claims were baseless. A showing that it should have known based on the totality of the circumstances, which can include how objectively baseless the claims were, is sufficient. The Court noted that direct proof of subjective bad faith is often very difficult to come by, so indirect proof can be sufficient. Interestingly, the Court considered whether clear and convincing evidence should be required to prove these elements. It ultimately concluded that it must, but did so based on the fact that it had to follow the precedent set by earlier panels. Finally, the Court rejected Sidense’s proposal that fee shifting should be appropriate whether a patentee files a lawsuit having little likelihood of success. Unlike Sidense’s other arguments, the Federal Circuit did not seem inclined to expand liability in this fashion. The Federal Circuit set forth a clearer statement of the law regarding awards of attorneys’ fees to prevailing defendants in patent infringement lawsuits. This was not a patent troll case, so the overtones and political issues associated with that topic were not present. The decision seemed to signal that the panel would have considered significant changes to the law but for the prior precedent that bound it. This may signal that this case is ripe for an en banc review. We shall have to wait and see. The other take away is that the Federal Circuit is not going to tolerate patentees bringing weak cases, especially when counsel expresses in writing that infringement is unlikely. Patentees need to be cautious about bringing such suits, especially where it appears that literal infringement is not present. Comments Off on Federal Circuit Addresses Fee Shifting Statute–Kilopass Tech. v. Sidense Corp.
What to Do About Patent Trolls? 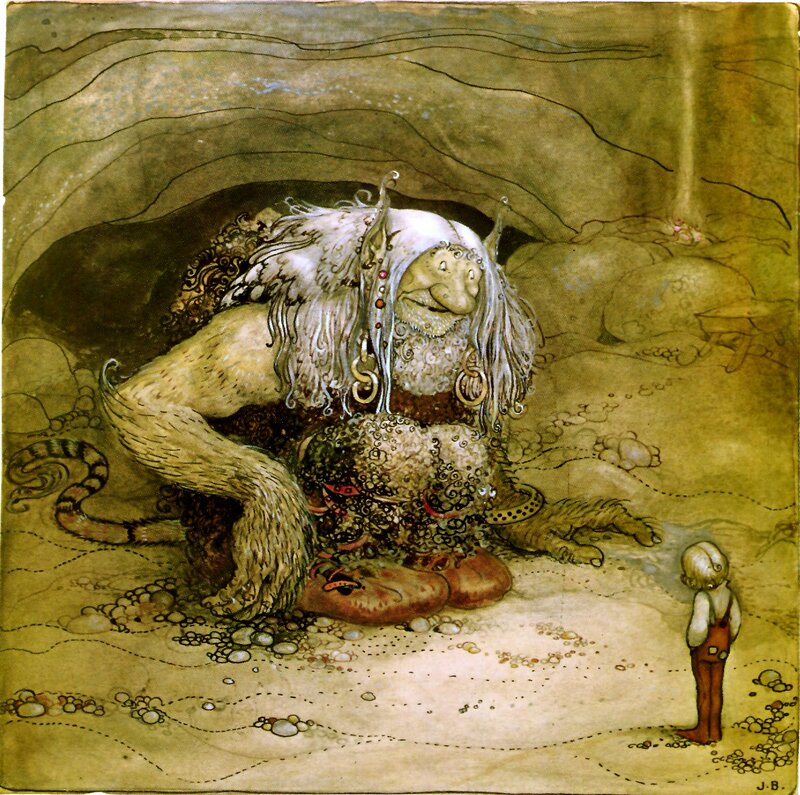 Posted on October 7, 2013 by PSMN® | Comments Off on What to Do About Patent Trolls? The problem with patent assertion entities (PAEs), also called patent trolls, continues to be a hot-button issue among practitioners, companies, and the government. Recently, Gene Quinn from IPWatchdog wrote about one proposed solution he and others see to this problem—encouraging companies to fully litigate these lawsuits and not to settle quickly, thereby raising the costs of this kind of litigation to discourage the bringing of weak lawsuits. But, is this really a practical solution to the troll problem for everyone? In March 2011, Lodsys approached 55 companies demanding compensation for their alleged infringement of Lodsys patents. 51 of the companies settled out of court, and 3 others settled a few weeks after Lodsys brought suit. Only Kapersky Labs decided to vigorously defend itself. After over two years of litigation and just days before trial, Lodsys unilaterally gave up and dropped its lawsuit against Kapersky Labs. Because Kapersky Labs adopted this approach, Quinn expects that it will no longer be considered an “easy target” and that it will not be sued as often as before. My feeling is that Quinn is correct that settling weak patent infringement lawsuits only encourages and perpetuates the troll system. The problem that I have with his solution is that it is not a universal solution and is really only effective for a limited number of defendants. While some trolls are looking for a large payday, many are willing to settle for relatively small amounts in comparison to the litigation costs—in the thousands or tens of thousands range (see, e.g., here and here). Patent litigation is expensive, with pre-trial costs ranging from $350,000 to $1,000,000 for modest size cases and total costs ranging from $700,000 to $2,000,000. Thus, a company is faced with a decision of whether to pay a few thousand dollars now to end the litigation and receive a fully-paid up license or spends hundreds of thousands or millions to hopefully defeat the troll in the courts (which is no guarantee, as any litigator will tell you). The law potentially allows a prevailing defendant to collect its fees and expenses, but there is no certainty that a defendant can meet the high standard required to get such an award or that it will be able to collect such an award from the troll. Many of these trolls are shell companies with little to no real assets. Even if the company is able to get and collect its fees and expenses, that still would not make it whole. The company will likely have wasted 2+ years in the litigation process, with all the distractions and stresses that it creates. In addition, for many companies the litigation costs represent a significant portion of its annual profits. It may have to lay off workers, forgo development, or otherwise restrict its operations during the litigation simply to pay its legal bills. That is a lot to ask of a company in order to fulfill some greater societal goal of discouraging patent trolls, especially if it is not a frequent target of patent trolls itself. Trolls are obviously counting on companies to engage in exactly this type of analysis, which is why they offer certainty at a relative low cost. It encourages companies to pay quickly and avoid both the long-term legal costs and the potential of a large judgment against them. As a purely business decision, it is hard to ignore, even if it is extortionate. So, what is the solution? Larger companies that are frequent troll targets should seriously consider the approach that Kapersky Labs used (and Quinn encourages) of aggressively litigating these kinds of cases. (Of course, these companies always need to evaluate the merits of the case before deciding whether to litigate.) By raising the costs of doing business and denying the trolls an easy score, trolls will likely begin to avoid suing that company, which is a win for both the company and the legal system. It is more difficult for smaller companies to adopt this approach, however. These companies likely will need help from the Courts, Congress, and the President to create disincentives to discourage trolls from bringing frivolous lawsuits in the first place. In the end, as long as there is money to be made, the trolls will exist and will find ways around whatever rules are in place. Some of the approaches being discussed in Congress (see here, here, and here) are a step towards solving this problem, but they are likely not the final answer. Given that the large patent litigation costs are the primary driver that forces companies to settle, mechanisms that reduce these costs or delay them until a patent holder can establish that it has brought a legitimate lawsuit may be part of the answer. In addition, in the rush to rid the world of trolls, Congress needs to be careful that they don’t tip the balances in traditional, “legitimate” patent infringement lawsuits so as to make it unreasonably difficult for patent owners to enforce their patents against actual infringers. The bottom line is that there do not appear to be any easy answers to this problem. Comments Off on What to Do About Patent Trolls? The Federal Circuit issued an interesting decision this week in Network Signatures, Inc. v. State Farm Mut. Ins. Co., No. 2012-1492, that reversed a District Court’s finding of inequitable conduct based on a patentee’s late payment of a maintenance fee. The Court found that even though the patentee intentionally did not pay the maintenance fee, such a failure could be excused when the reason for not paying was based on an erroneous assumption that no one wanted to license the patent. Judge Newman wrote the opinion for the Court, joined by Judge Wallach. Judge Clevenger dissented. A scientist at the Naval Research Labs (NRL) obtained a patent relating to internet security. There did not appear to be any commercial interest in the patent, so NRL permitted the patent to lapse by not paying the 7.5-year maintenance fee. Unbeknownst to NRL, a company (Network Signatures) was interested in licensing the patent. The company attempted to contact NRL via phone and e-mail before the maintenance fee was due, but was unable to do so because NRL’s systems were not functioning properly. Network Signatures was finally able to reach NRL two weeks after the maintenance fee was due. At this point, NRL’s lawyer filed a petition with the PTO for delayed payment, asserting that the failure to pay was unintentional. The PTO granted the request, and NRL ultimately licensed the patent to Network Signatures. Network Signatures sued State Farm for patent infringement. After discovery, State Farm moved for summary judgment on inequitable conduct, arguing that the failure to pay the maintenance fee was not unintentional. The District Court granted summary judgment, and Network Signatures appealed. The Federal Circuit reversed. In doing so, it looked at the nature of the proceedings before the PTO. NRL’s lawyer submitted a standard form relating to late payments and checked a box indicating that the failure to pay was unintentional. The Court stated that “[w]e do not agree that this action constituted material misrepresentation with an intent to deceive.” The Court found no irregularities with NRL’s conduct after learning of Network Signatures’ desire to license the patent and that it was not improper to use the PTO’s forms (which did not require an explanation). The dissent disagreed, and found that NRL intentionally allowed the patent to lapse. This was not the kind of unintentional delay that should be excused. While the dissent agreed with the District Court that State Farm had proven the first element of an inequitable conduct defense (material misrepresentation), the dissent found that the second element (specific intent to deceive) was a factual question that precluded summary judgment. This is a rather odd decision. NRL clearly intended to allow its patent to lapse, but would not have done so but for a problem in communication. But, is this a “mistake of fact” that would excuse its abandonment? The majority failed to address the boundaries of the “mistake of fact” defense proffered by the patentee, and, instead, seems to have relied on the bare-bones nature of the PTO form used. This decision does not seem to provide much clarity as to what constitutes an “unintentional” abandonment of a patent. Posted by Henry M. Sneath, Esq., Chair of the Intellectual Property group at Pittsburgh law firm Picadio Sneath Miller & Norton, P.C. Following a December 2012 Patent verdict in favor of CMU against Marvell in the amount of just over $1 Billion, the trial Judge Nora Barry Fischer of the USDC for the Western District of Pa. has denied the post trial motions filed by Marvell. Carnegie Mellon University v. Marvell Technology Group, Ltd., Case No. 09-290 (W.D. Penn. Feb 28, 2013). She has also found that the infringement was willful, but has not determined yet whether to multiply the verdict as an enhanced award. The lengthy opinion is attached for review. More analysis to come and we will follow what is surely to be an appeal to the CAFC by Marvell. Opinion available only on PACER at the moment but we will search for an independent copy to post. UPDATE: The full decision of the Court is available here. 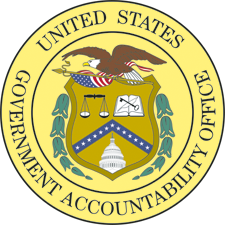 Last Thursday, the U.S. Government Accountability Office (GAO) issued a report on patent infringement litigation and recommended steps that may be taken to improve both litigation and the patents themselves. The 61-page report, entitled “INTELLECTUAL PROPERTY: Assessing Factors That Affect Patent Infringement Litigation Could Help Improve Patent Quality,” makes a number of recommendations, as well as providing a background in this area, including statistics summarizing recent trends in patent litigation. We’ll be taking a look at this report in more detail and providing some commentary on it in the near future as a part of our ongoing analysis of the issues presented by NPE/PAE/patent troll litigation. The Federal Circuit issued an opinion in Taurus IP, LLC v. DaimlerChrysler Corp. (No. 2008-1462), upholding a verdict in favor of a technology user in the continuing patent wars between non-practicing entities (NPEs) and companies. Judge Schall delivered the opinion of the Court, joined by Judges Prost and Reyna. The case involved two separate actions—one for patent infringement and one for a breach of warranty involving a prior settlement agreement between the parties. In the patent action, the Federal Circuit affirmed the district court’s determination that Taurus’s patent was invalid, that defendants did not infringe, and that the case was exceptional because plaintiff failed to conduct proper due diligence and filed a frivolous lawsuit. In the breach of warranty action, the Court affirmed the finding that the court had jurisdiction over the parties, that plaintiff and related third parties (Orion IP, LLC and Erich Spangenberg) breached the warranty provisions, and that two of the third parties engaged in witness tampering. The Court affirmed-in-part and reversed-in-part the damage awards relating to defendants’ attorneys’ fees. The case has a rather long and convoluted history, starting with a different lawsuit back in 2004. Orion (an NPE owned by Spangenberg) sued DaimlerChrysler and Mercedes in 2004. Prior to filing suit, it acquired the rights to a patent (the ‘658 Patent) that would be at issue in the later lawsuit. To resolve the 2004 case (which involved different patents), the parties entered into a settlement agreement in 2006. Under that agreement, Orion warranted that had not assigned any patent rights relating to the 2004 litigation. However, five days after filing the 2004 lawsuit, Orion assigned the ‘658 Patent to another of Spangenberg’s companies and did not disclose that fact. In 2007, Taurus (another NPE) acquired the rights to the ‘658 Patent from one of the many Spangenberg companies. Taurus then filed suit against DaimlerChrysler and Mercedes 10 days later. This is the case that was on appeal before the Federal Circuit. The ‘658 Patent involved a “a computer system for managing product knowledge related to products offered for sale by a selling entity.” Taurus alleged that defendants infringed the patent through their internal and external web sites that allowed customers to select various options on different car models and then see if any dealers had that configuration available for sale in the area. The district court issued a claim construction that was unfavorable to Taurus. The court then granted summary judgment in favor of defendants, finding that defendants did not infringe and that the asserted claims of the patent were invalid in light of prior art that pre-dated the earliest conception date that Taurus could prove. In addition, the court found that the case was an exceptional case that warranted an award of defendants’ attorneys’ fees. The court found that Taurus failed to conduct a proper due diligence before filing suit, that there was no reasonable basis to believe that defendants infringed, and that Taurus needless prolonged the litigation in bad faith. The court then awarded over $1,600,000 in attorneys’ fees. With respect to the breach of warranty claims, the court found that it had jurisdiction over all of the parties and denied Taurus and the third-party defendants’ attempts to dismiss the claims. A jury then found for DaimlerChrysler and Mercedes. On post-trial motions, the court found damages caused by the breach in the amount of almost $2,500,000 for the costs incurred to defend the patent infringement lawsuit and $ 1,300,000 in attorneys’ fees relating to the breach of warranty claims. In addition, the court found that Erich Spangenberg and an attorney working with him attempted to tamper with a witness. The attorney used to represent DaimlerChrysler in prosecuting its patents, but left to work for one of Spangenberg’s companies during the course of the litigation. Spangenberg contacted the attorney and told him that he believed that one of DaimlerChrysler’s witnesses was going to commit perjury and that the attorney should take steps to deal with it. The attorney then called and sent the witness a letter “reminding” the witness of certain “facts.” The attorney never indicated that he worked for Spangenberg. When this contact came to light, the court conducted a closed hearing to address what happened and what should be done. 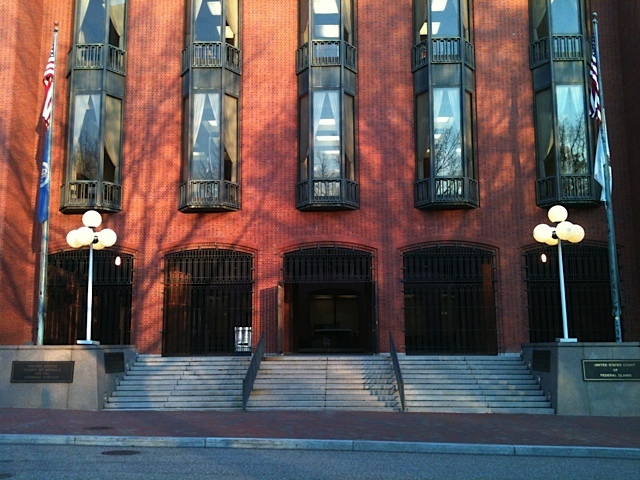 The court ultimately concluded that (1) the communications were designed to intimidate the witness and influence his testimony, (2) that the attorney should have been screened from the case due to his prior employment with DaimlerChrysler, (3) that the “facts” were not supported by the record. As a sanction, the court prevented Spangenberg and his companies from evoking testimony refuting one of the elements to the breach of warranty claim. On appeal, the Federal Circuit affirmed all of the patent infringement-related issues in full. It upheld the claim construction, the non-infringement ruling, the invalidity ruling, and the award of attorneys’ fees. With respect to the breach of warranty issues, the Federal Circuit largely affirmed, including the witness tampering sanctions, but did reverse on the issue of the damages for a lack of evidence presented at trial. This was a fairly convoluted case before the Federal Circuit. While the lengthy opinion makes for an interesting read, there are some high-level take aways. First, Chief Judge Rader has repeatedly indicated that district courts should exercise their inherent and statutory powers to sanction NPEs and other litigants that bring frivolous patent infringement lawsuits. The district court apparently took that to heart and the Federal Circuit backed her up. Second, the failure to conduct appropriate pre-filing due diligence proved very costly to plaintiff. Finally, parties need to be very careful before communicating (or inducing another to communicate) with an opposing witness prior to testifying, as the sanctions can be devastating to a case. The Federal Circuit issued an interesting decision today in Hamilton Beach Brands, Inc. v. Sunbeam Products, Inc. (No. 2012-1581). 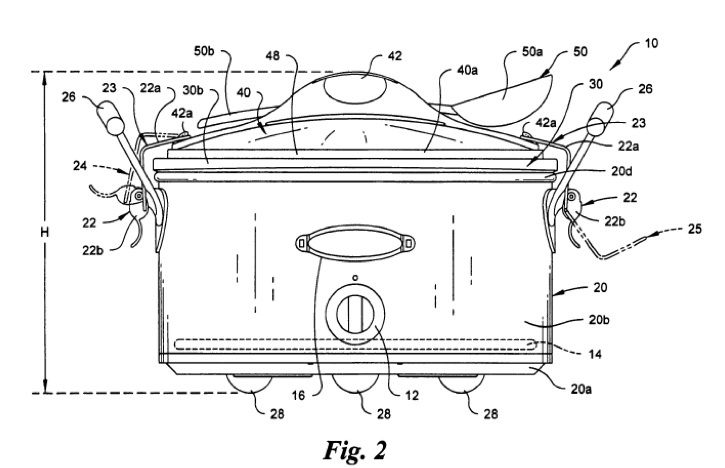 The opinion, written by Judge O’Malley and joined by Judge Bryson, invalidated a patent based on the patentee’s contractual agreement with its own supplier to purchase a product that utilized the patented invention more than one year before the date of the patent application. The dissent, written by Judge Reyna, argued that this decision is inconsistent with the requirement that an offer for sale must by a commercial offer and that it will eviscerate the experimental-use exception. The patentee, Hamilton Beach, developed an improved slow cooker with clips to hold the lid of the cooker to the body of the cooker. Hamilton Beach’s original design had the clips mounted to the body. Sunbeam designed a competing version of the product with clips mounted to the lid. In response, Hamilton Beach filed a continuation patent application that specifically incorporated Sunbeam’s new design. This application eventually matured into the patent involved in the lawsuit. In defense, Sunbeam argued that it did not infringe and that the patent was invalid as anticipated because Hamilton Beach introduced new matter into its continuation application and therefore could not take advantage of the earlier filing date. Sunbeam also argued that the patent was invalid due to an offer for sale more than one year before the earliest priority date. More than one year before the original patent application was filed, Hamilton Beach issued a purchase order to one of its foreign suppliers, asking it to manufacture nearly 2,000 slow cookers based on Hamilton Beach’s specifications and designs. The supplier agreed to fulfill the order once it obtained a release from Hamilton Beach. The supplier’s confirmation occurred more than one year before Hamilton Beach filed its patent application. Hamilton Beach issued the release to its supplier within the one-year period before it filed its application, though. The District Court ultimately agreed with Sunbeam on all three grounds, finding that Sunbeam did not infringe and that the patent was invalid. A patent can be invalidated under 35 U.S.C. § 102(b)’s on sale bar provision “when two conditions are satisfied before the critical date: (1) the claimed invention must be the subject of a commercial offer for sale; and (2) the invention must be ready for patenting.” There is an exception to the on sale bar where the use is experimental in nature, which negates the commercial requirement of § 102(b). The Federal Circuit only addressed Sunbeam’s on-sale bar argument, finding that the offer from Hamilton Beach’s supplier to manufacturer the slow cooker once it received the release was an offer for sale under § 102(b). Because this offer occurred more than one year before Hamilton Beach filed its patent application and Hamilton Beach clearly had specifications and drawings of its invention, the patent was invalid as anticipated. It reaching its decision, the Court noted that there need not be a binding contract for purposes of § 102(b)—only an offer is required. Moreover, the Court found that there is no “supplier exception” to the on-sale bar. The key dispute between the majority and dissent was whether Hamilton Beach’s purchase order should have been analyzed under the experimental use exception. “Experimental use” is simply not at issue. There is, thus, no threat that this decision will have any impact on that defense; it certainly will not “eviscerate” that defense as the dissent fears. The dissent disagreed, finding that Hamilton Beach had raised this issue and that there was sufficient evidence to suggest that the 2,000 units were being ordered in order to work out a defect in the design. The dissent further expressed concern that this ruling would “eviscerate” the experimental use exception and create havoc for companies that have third parties manufacture their goods. It is somewhat difficult to predict how this case will be used in the future, but there are certainly some points to take away from it. First, companies need to be aware that contractual negotiations and offers with their own suppliers potentially can be used against them to invalidate their patents. This highlights the need to file provisional applications and keep track of the relevant dates so as not run into this issue. Second, where a use is experimental in nature, it is helpful to document its experimental nature for use later in litigation. Third, the majority fairly clearly states that this decision does not destroy or even implicate the experimental use exception, so that exception should still be available if properly raised at the trial court. Finally, this case highlights the importance of preserving this argument explicitly and clearly. The SHIELD Act is designed to shift the costs of litigation to certain kinds of patentees that lose patent infringement lawsuits. Specifically, patentees that (1) are not the original inventor or assignee of the patent, (2) have not made a “substantial investment” to exploit the patent through production or sale of item covered by the patent, or (3) are not a university or a university’s technology transfer organization will be required to pay the full costs and attorneys’ fees of the prevailing party that asserted invalidity or non-infringement, unless the court finds that exceptional circumstances exist. A party asserting invalidity or non-infringement may move the court for a judgment that the patentee does not fall within one of these three classifications. If the motion is made before initial disclosures are due, the court must stay discovery, except for that necessary to resolve this motion. If the motion is made after the initial disclosures, the court may wait until after entry of final judgment to decide the motion. There are a couple of interesting points about this proposed litigation. First, there is no good faith or reasonable basis exception explicitly contained in the determination of whether to award fees. Thus, unless courts consider a good-faith basis for filing the suit to be an “exceptional circumstance,” entities that do not fall within one of the three categories must pay a defendant’s costs and fees regardless of the reasonableness of the lawsuit. Second, the bill does not indicate what happens with mixed verdicts. If a patentee prevails on all but one claim, is a defendant entitled to collect all of its costs and fees, or only some pro-rated amount? Third, how would this bill affect declaratory judgment actions? The language is not written in terms of plaintiff or defendant, but in terms of the “party asserting invalidity or noninfringement.” If a company receives a cease-and-desist letter from an entity that does not fall within one of the three categories and files a declaratory judgment action, is the patentee subject to this rule? Presumably, it would be, which means that these kinds of patentees would have to be extremely careful when sending licensing or cease-and-desist letters. This act is fairly straightforward. It simply requires that a patent owner file a disclosure with the USPTO of the real party in interest of any patent when (1) the patent issues, (2) a maintenance fee is paid, and (3) within 90 days of any transfer of ownership. If a patent owner does not, it cannot collect any damages in a patent infringement lawsuit until it cures its failure to do so. These two acts are basically mirror images of one another, except one was introduced in the Senate and one in the House. Both remove the sunset provision in 35 U.S.C. § 321 note, subsection (a)(3), which provides for a streamlined post-grant review of financial business method patents, and makes the program permanent. The acts would also expand the scope of review from financial business method patents to all types of business method patents. All six pieces of legislation target the patent “troll” problem, but do so in different ways. None of these approaches seem to be the silver bullet to solve this problem, however. In fact, some of them are likely to cause significant issues in the traditional patent litigation context. Also, there are many questions and ambiguities about how these laws would be applied. It will be interesting to see if any of these proposal garner enough support to become law (and whether any changes are made to do so). The Patent Litigation and Innovation Act of 2013 (“PLIA”) is in many ways very similar to the Patent Abuse Reduction Act of 2013 (“PARA”) we discussed in the first part of this series, although there are some notable differences. These two bills are the most comprehensive and far-reaching of the currently proposed legislation. The bill would make five major changes to the patent laws that will affect all patent lawsuits, not just the “troll” variety. First, like the PARA, the PLIA would require a patentee to plead substantially more information than is currently required in a complaint, including (1) identifying the patents that are allegedly infringed; (2) identifying the claims that are allegedly infringed; (3) identifying each allegedly infringing product, method, process, etc., including the specific name and model numbers; (4) identifying how each element of each claim is infringed; (5) identifying whether the infringement is literal or under the doctrine of equivalents; (6) for indirect infringement, identifying the acts and parties who directly infringed and the indirect infringer’s acts that give rise to liability; (7) identifying the basis of the patentee’s right to sue; (8) describing the principal business of the patentee; (9) identifying the owners, assignees, and exclusive licensees of the patents; and (10) identifying anyone who has a legal right to enforce the patents. Unlike the PARA, the PLIA does not require that the patentee identify any previously-filed complaints involving the patents, whether the patent is subject to any licensing or pricing commitments, or the identity of anyone who has a financial interest in the patent (and the basis for that interest). Given that the bare-bones nature of the current model Form 18 for patent lawsuits, the bill would also require that Form 18 be updated to include this information. Second, like the PARA, the PLIA would require courts to join any interested parties on a defendant’s motion if the defendant shows that the plaintiff’s interest in the patent is limited “primarily to asserting any such patent claim in litigation.” The court may deny the motion if the interested party is not subject to service or would deprive the court of subject matter jurisdiction. Third, the PLIA provides a mechanism for staying any actions against “secondary parties,” who are defined to be those whose alleged infringement is based on the use, distribution, resale, or consumption of a product or process by a primary party. Primary parties are those who manufacture or supply the product or process that allegedly infringes. If the primary and secondary parties agree, they can move the court, which then must stay the action against the secondary parties. The secondary party will then be treated as a non-party for purposes of discovery, hearings, and trials. However, the secondary party will be bound by any judgment against the primary party relating to common issues between the two. Fourth, the PLIA creates a number of automatic stays of discovery. The court must stay discovery while ruling on any motion to dismiss, motion to transfer, or claim construction, although there are provisions for lifting the stay in extraordinary circumstances. The court can also allow whatever discovery is necessary to decide these issues. Finally, the PLIA provides that the court must include specific findings in its final adjudication regarding the parties’ and attorneys’ compliance with Rule 11(b) and may impose sanctions for any violations. While this bill is clearly directed at curbing abusive patent litigation, its effects will be felt in all patent lawsuits. Given that, all patent litigators should be aware of how patent litigation may change. In particular, there are many unanswered questions about this bill that could have some interesting consequences. First, as with the PARA, the amount of information required in a complaint is extraordinary, especially in comparison to what is required now under the notice pleading standard of the federal rules. The same concerns discussed in the article on the PARA apply equally to the PLIA. As a practical matter, it is difficult to see what the purpose behind these changes is, especially in jurisdictions that have local patent rules that require this type of disclosure early in the process. Most plaintiffs, whether of the “troll” variety or not, have put together detailed infringement charts as part of their due diligence. While pleading this information will be time consuming, it should not be particularly difficult. In addition, what is the recourse if a plaintiff is “wrong”? A court should not be resolving questions of fact on a motion to dismiss. On the other hand, requiring this kind of information, whether in the pleadings or early in the litigation, is extremely helpful for defendants to understand the scope of the lawsuit and what products and claims are actually at issue and should help streamline the litigation. Whether it should be required in the complaint or as part of early disclosures is another matter. Second, the provisions regarding staying the action against secondary parties are potentially very helpful in reducing the distractions caused by this kind of litigation tactic. It will be interesting to see how secondary parties react and whether they are willing to be bound to whatever judgments are entered against the primary party. In theory, a primary party should have a far greater interest in defending the lawsuit and the greater knowledge to do so. Third, the stay of discovery while the court is construing claims could be helpful, but it also could prove problematic. For instance, sometimes it is difficult to know exactly what claims could be at issue until a defendant provides the details of how its product works or what the steps in its process are. Certain elements or steps may be unknowable without access to source code or knowledge of the precise process used. And, this cuts both ways. Sometimes, a patentee may believe that additional claims are infringed after learning more about the defendant’s products, but it could also be the reverse, where discovery reveals that certain claims that it believed were infringed are not infringed. In addition, a patentee may not appreciate that a particular claim term needs to be construed until it sees how the accused products work and the positions that the defendant is taking. Courts are unlikely to be thrilled at the prospect of having to engage in the claim construction process multiple times or having to construe claim terms that later turn out to be irrelevant once additional discovery is done. Finally, it is unclear how useful the requirement that courts make specific findings regarding Rule 11(b) compliance will actually be. Presumably, if one of the parties or the court felt that another party’s behavior was inappropriate, they would have raised that issue anyway. Further, it is unlikely that a court will have sufficient evidence to make any findings of inappropriate behavior in those cases that settle early, even if the case actually had little merit. There are clearly issues with patent litigation now, especially with respect to suits brought by “trolls.” While not as drastic as the PARA, it is not clear how helpful the PLIA will actually be in addressing some of the abuses that currently exist. It will also be interesting to see the discussions surrounding this piece of legislation and whether it ever becomes law. Along with the Patent Litigation and Innovation Act of 2013 that will be discussed in the next installment, the Patent Abuse Reduction Act of 2013 is the most comprehensive and far-reaching of the currently proposed legislation. The bill would make four major changes to the patent laws that will affect all patent lawsuits, not just the “troll” variety. First, the bill would require a patentee to plead substantially more information than is currently required in a complaint, including (1) identifying the patents that are allegedly infringed; (2) identifying the claims that are allegedly infringed; (3) identifying each allegedly infringing product, method, process, etc., including the specific name and model numbers; (4) identifying how each element of each claim is infringed; (5) identifying whether the infringement is literal or under the doctrine of equivalents; (6) for indirect infringement, identifying the acts and parties who directly infringed and the indirect infringer’s acts that give rise to liability; (7) identifying the basis of the patentee’s right to sue; (8) describing the principal business of the patentee; (9) listing each previously filed complaint relating to the asserted patents; (10) identifying whether the patent is subject to any licensing terms or pricing commitments; (11) identifying the owners, assignees, and exclusive licensees of the patents; (12) identifying anyone who has a legal right to enforce the patents; (13) identifying anyone with a direct financial interest in the lawsuit or its proceeds; and (14) describing the basis for that direct financial interest. Second, the bill would require courts to join any interested parties on a defendant’s motion if the defendant shows that the plaintiff’s interest in the patent is limited “primarily to asserting any such patent claim in litigation.” The court may deny the motion if the interested party is not subject to service or would deprive the court of subject matter jurisdiction. Third, the bill would substantially change the timing and scope of discovery, including shifting the costs for non-core discovery materials. If a court determines that claim construction is required, discovery is limited to only that necessary for construction until after the court issues its ruling. After that ruling, discovery is divided into two groups—core documentary evidence and additional discovery. Core documentary evidence is limited to documents that (1) relate to conception, reduction to practice, and application for the patent; (2) are sufficient to show the technical operation of the accused products or services; (3) relate to invalidating prior art; (4) relate to prior licensing of the patent; (5) are sufficient to show the revenues attributed to the invention; (6) are sufficient to show the organizational structure of each party; (7) relate to the defendant’s awareness of the patent or infringement before the lawsuit was filed; and (8) are sufficient to show any marking, lack of marking, or notice of infringement. Notably, computer code and electronic communications (e-mail, text messages, etc.) are not core discovery, unless the court finds good cause to classify them as such. Additional discovery is the discovery of every other kind of evidence. Each party bears the burden of producing its own core discovery, as is currently the case. However, the burdens shift with respect to additional discovery. There, a requesting party is not entitled to the additional discovery unless it pays for it (including both actual costs and reasonable attorneys’ fees) or posts a bond in that amount. Finally, the court is to award costs, expenses, and attorneys’ fees to the prevailing party, unless the non-prevailing party’s positions and conduct were objectively reasonable and substantially justified or exceptional circumstances make such an award unjust. If the non-prevailing party cannot pay these costs, the court can make them recoverable against any interested party. While this bill is clearly directed at curbing abusive patent litigation, its effects will be felt in all patent lawsuits. Given the far-reaching impact of these proposed changes, all patent litigators should be aware of how patent litigation may change. In particular, there are many unanswered questions about this bill that could have significant consequences. First, the amount of information required in a complaint is extraordinary, especially in comparison to what is required now. Some of this information may be very difficult for a plaintiff to know at the filing stage, even with substantial pre-filing due diligence. For instance, it may be difficult to determine all of defendant’s allegedly infringing products beforehand. Indeed, discovery often reveals additional products that infringe. What are the consequences if a plaintiff later discovers infringing products? How can they be added to the lawsuit? Interestingly, there is no equivalent requirement for defendants to plead this level of detail with respect to their non-infringement or invalidity positions. Second, how will these pleading changes affect declaratory judgment lawsuits? Normally, an infringement counterclaim must be raised in an answer as a mandatory counterclaim. These pleading requirements apply for counterclaims, as well as the initial complaint. What happens if a patentee is sued based on a licensing demand and does not have this information? Or does not have this information for all of the accused infringer’s products? Patentees would have to be extremely careful before sending out cease-and-desist or licensing letters. Third, given that core discovery specifically excludes e-mails, how will the parties obtain some of the core discovery that may only be in e-mail format? For instance, a defendant’s awareness of the patent or infringement may only be found internal e-mail communications. Core discovery also excludes computer code. Presumably, a court will find this code to be core discovery for computer software patents or inventions that use a computer, but that is not clear. Fourth, the bill states that a party is not entitled to additional discovery until it first pays for it. How will those issues be addressed? What happens if there is a dispute over the reasonableness of the costs? Will courts have to micromanage litigation budgets and fees? What happens if a party cannot afford the discovery? Is it completely barred from obtaining it? Is this a due process concern? Fifth, core discovery is defined as “core documentary evidence” and only includes documents relating to the topics described above. How are depositions and expert discovery treated? What about interrogatories? Are they “additional discovery” that must be paid for by the requesting party? If so, this is especially problematic with experts. Unlike document requests and interrogatories, a party has no control over what experts (or how many) the other side hires. The bill is silent on how to address these issues. Sixth, this bill turns patent litigation into a loser pays proposition. In other words, it is the equivalent of a default finding of exceptional circumstances in our current system. The bill is silent as to what happens if a position that was reasonable becomes unreasonable in the middle of the litigation. For instance, an infringement or non-infringement position may become unreasonable after the court issues its claim construction. What happens then? If a plaintiff does not withdraw its suit or a defendant does not immediately settle, are they liable for all of the fees? Only those fees after the ruling? A defendant may not be able to extricate itself on reasonable terms at that point, especially if the plaintiff now knows it will be able to collect its attorneys’ fees. Finally, while this payment requirement can be challenged, this change will create even more pressure on a defendant to settle a case, especially if it is likely to be costly. Plaintiffs can presumably take more precautions to make sure that their positions are reasonable and substantially justified before they choose to file suit. A defendant may not have that luxury. There are clearly issues with patent litigation now, especially with respect to suits brought by “trolls.” It is not clear whether the Patent Abuse Reduction Act of 2013 will help or hurt more, however. It will be interesting to see the discussions surrounding this piece of legislation and whether it ever becomes law.